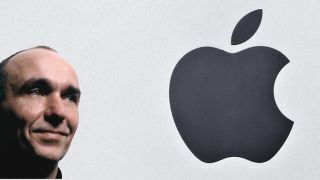 Gaming luminary and former Xbox man Peter Molyneux has challenged Apple to show off games and not spreadsheets when it announces products. Molyneux - who is now focused on app gaming after leaving Lionhead, the company he founded and then sold to Microsoft - believes that the touchscreen is still lacking a defining gaming moment, and he believes there is more to come from Apple and its flagship devices. "When Steve Jobs got on stage and showed me that device that was a moment of near orgasmic excitement," Molyneux told Pocket-Lint in an interview. "It should be the games that Apple show off on stage, not a spreadsheet. We should be able to give people a little window into a world, which they have created. I would love that." "The interesting thing about the iPad is that it has done incredible things for music...but there hasn't really been a computer game that really represents gaming on the go," he added. Molyneux is currently working on Godus, a god game that owes plenty to, perhaps, his most famous hit in Populous, but brings a healthy slice of Black and White. "My plan for what it is worth, is to take everything that I've done in the past 20 years and remove all the rubbish...and create an absolutely amazing delightful world that people will be able to interact with in a relaxing and playful way for many, many months." What are the best free iPad games? Check out our top 70.